Many market participants feel quite surprised by the unchanged quotations’. Starting from Germany, exceptionally high demand for live pigs was recorded last week of slaughter. Thus, market participants at home and abroad have been expecting the German leading quotation to increase and the respective impetus to arise in the European environment. Expecting increasing trends in Germany, the Dutch quotation also went up by 2 cents last week. However, the reality was very different. 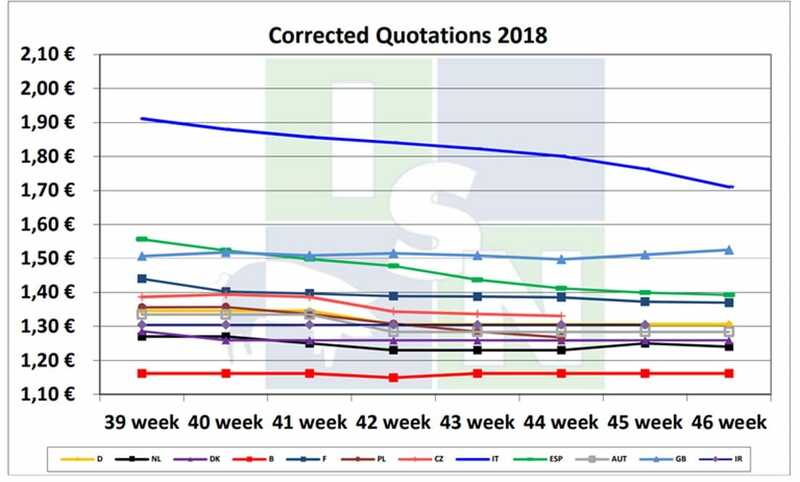 After the Vion slaughter company announced an unchanged payment price for the new week of slaughter in Germany, there was no room for price increase. In the Netherlands, the prices were also unchanged. In the end, nothing changed, and throughout Europe the majority of pigs-for-slaughter remained unchanged. It seems that in Spain the seasonal price decrease has reached rock-bottom. The Spanish quotation went down only slightly and is thus maintaining the leading rank in the European price structure of the five EU member countries most important in pig keeping. At the beginning of the week, the local pigs-mature-for-slaughter market appears stable. Yet, the feeling of disappointment over the unchanging quotations is still obvious. Click here for more news on markets and economics.